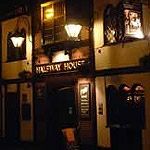 Halfway House is a lively pub in Barnes which is popular for its real ales and regular live music. A menu of traditional pub food and bar snacks is also available. What did you think of Halfway House?